GALION — Partnership, collaboration and teamwork. 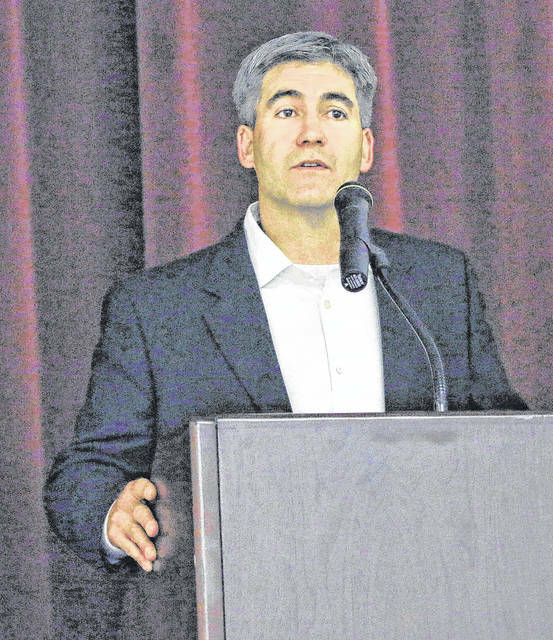 That was the theme of the third Manufacturing Breakfast sponsored by the Galion-Crestline Area Chamber of Commerce, held Wednesday in the cafetorium at Galion High School. 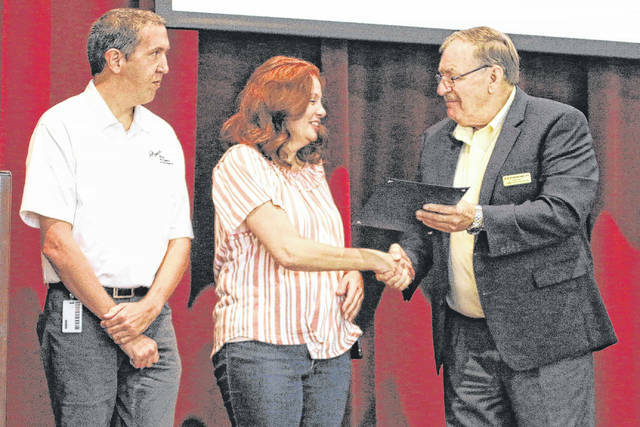 Through partnerships, Galion and Crawford County are putting themselves in position to take advantage of the current and future need for more skilled workers in the manufacturing sector of the local economy. Frankhouse showed a video — produced by Wilson Frankhouse — that featured the WAGE program run by the Crawford Partnership. When the WAGE program first started, it concentrated on the manufacturing sector. Since then it has branched out to include other types of businesses. The video shown at the breakfast included Avita Hospital, Lifetouch and Longstreth Memorials. Frankhouse said local financial institutions are also being included in the program. “It’s a way to show students the types of opportunities that are available,” he said. He stressed that Ohio’s economy is based on the manufacturing sector and that Crawford County is no different. The average manufacturing sector worker in Galion earns more than $52,000. He said Ohio is third in the nation in the number of manufacturing jobs available. Mayor Tom O’Leary said that after Avita, the next 10 or 15 largest employers in the city are manufacturers. “It is still the heart of this community,” he said. Galion City Schools superintendent Jim Grubbs also commented on the collaboration within the community. With computers and robots and other advancements in technology, Frankhouse admitted that the number of manufacturing jobs available is going to lessen. However, the jobs available are going to require more skills and will pay even higher wages. The annual manufacturing breakfast gives local businesses a chance to publically acknowledge their employees. Ten business owners did that. Longstreth Memorials recognized its monuments and burial vault team; Eagle Crusher noted the efforts of Ryan Caldwell, Jeff Cullen and John Griffith; David Kuns was recognized by Crossroads; Joshua Laferty by Urban Industries; Lynn Martin by Lifetouch; Jeran Pollock by Elliott Machine Works; Rick Rinehart by Tramec Slone and Jennifer Wolfe by Covert Manufacturing.